Megalytic provides two specific types of widgets for viewing data “by Source/Medium” or “by Campaign/Keyword”. 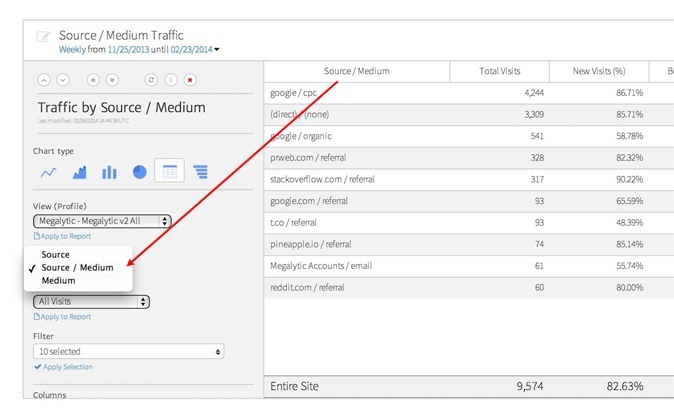 To display traffic by Source, use the “Traffic by Source/Medium” widget. First, click the “Add Widget” button to open the widget library. Then, from the widget library, find the “Traffic by Source/Medium” widget in the upper left corner and selected it. The table below appears at the top of your report. By default, it shows traffic metrics by source/medium. You can change the defaults by opening the widget editor by clicking edit icon that is circled in the image below. When the widget editor opens, you will see a selector labeled “Dimension”. This allows you to whether the data is segmented by Source, Source/Medium, or Medium. 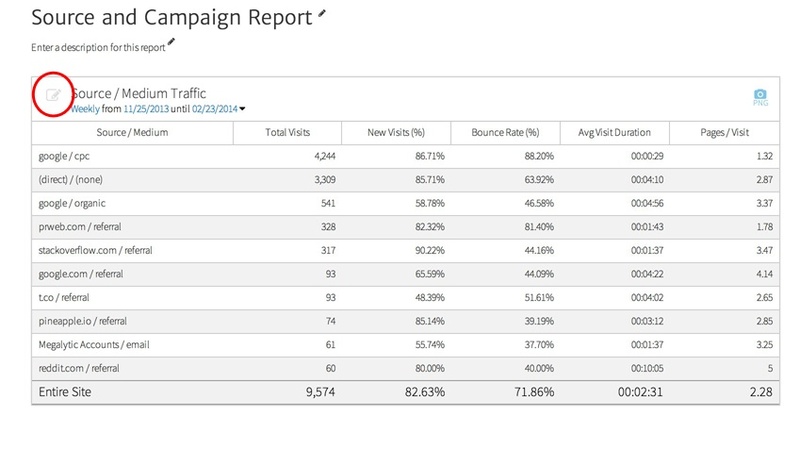 Displaying traffic by Campaign is similar. 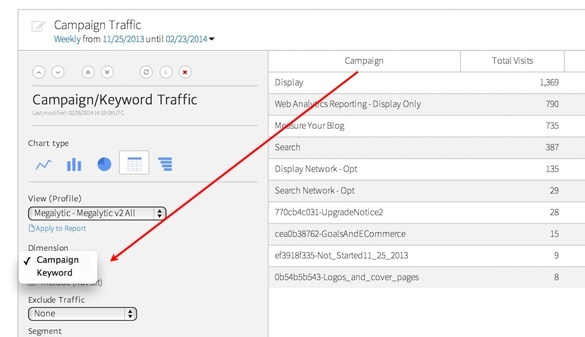 In the widget library, select the “Traffic by Campaign/Keyword” widget. 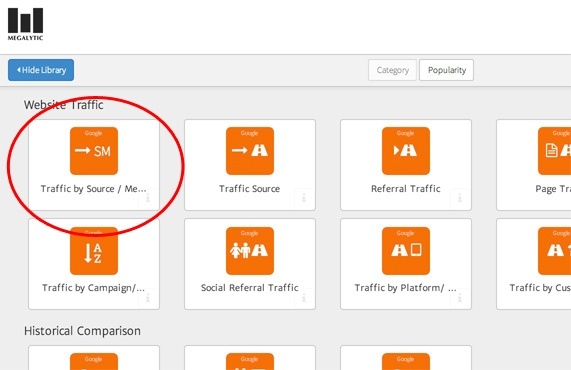 By default, the table provided by this widget segments your data by Campaign. 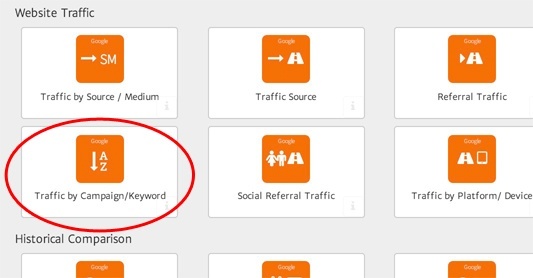 You can change that to Keyword, by opening the widget editor and choosing “Keyword” from the dimension selector.